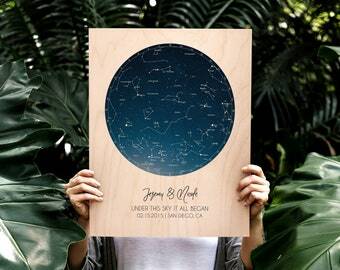 Free shipping to United States with $49 purchase from jsteeno. See item details below for sale terms. 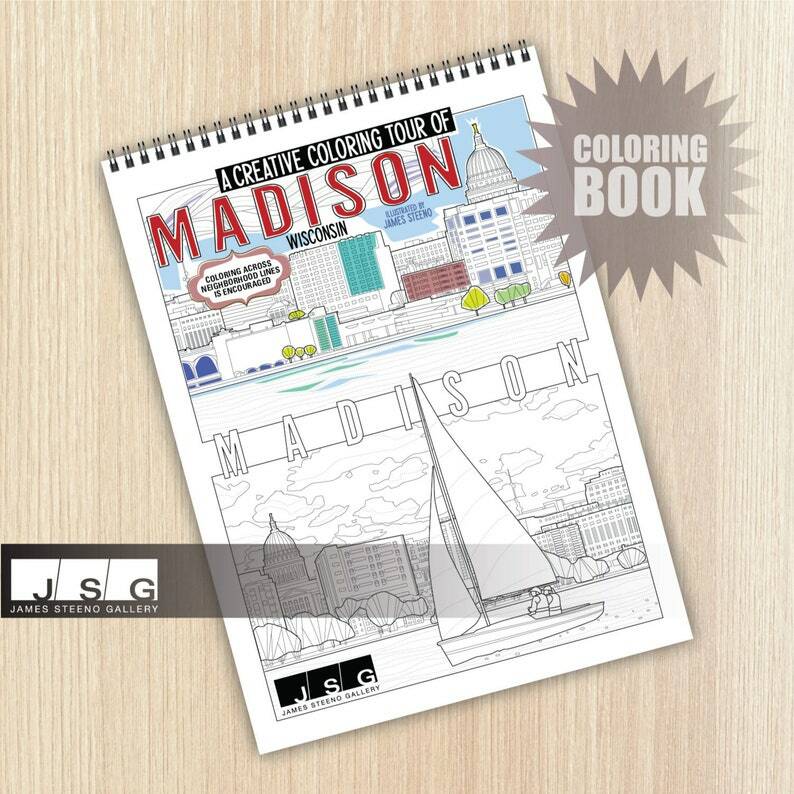 MADISON - Wisconsin: A Creative Coloring Tour book features 20 Madison illustrations and drawings by Milwaukee, Wisconsin artist James Steeno for you to add your artistic coloring flair to. Each premium coloring page design is printed on heavy weight paper so ink will not bleed through to the next page. The book is ring bound, allowing it to lay flat while coloring, and each single-sided coloring page is perforated so finished masterpieces can be easily removed. Take a coloring tour around MADISON, where coloring across neighborhood boundaries is encouraged! We will carefully wrap your gift in a unisex, solid or striped colored wrapping paper, making it perfect for any gift giving occasion. Free first class shipping on any order sent within the continental United States on orders of $49.00 or more. Offer may not be combined with any other offer. Excludes priority or express rush shipping options. Lovely. Arrived timely and as expected. Well packaged, nicely signed and labeled. Great piece for our university themed room. Payment is due at the time of checkout. I accept Credit Cards, PayPal, and Etsy Gift Cards. Etsy keeps your payment information secure. Etsy shops never receive your credit card information. Orders shipped to Wisconsin will have 5.6% added for sales tax. If any item reaches you in a damaged condition, I will replace the exact item upon return of the damaged item. I cannot refund shipping costs. Please contact me within 5 days of receipt of item to undertake any returns. Please keep all packaging in addition to the item that was shipped to you. Delays in USPS delivery due to weather conditions, natural disasters, national holidays and other uncontrollable events are beyond my control and will not be refunded. Please see my shipping policies about exchanges that will not be covered by replacement. Orders will be shipped to the address provided on your Etsy order. I am not responsible for shipments sent to outdated or incorrect addresses provided by the buyer. All orders are shipped U.S. Postal Service (USPS) from Milwaukee, Wisconsin. Use the USPS Service Commitment Calculator to determine the shipping method you should choose for your order. All orders placed through my Etsy shop ship from zip code 53208. 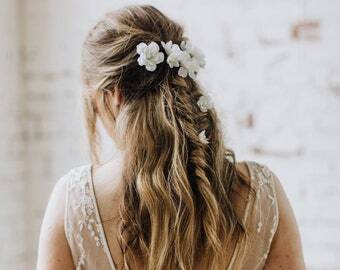 While packages generally arrive MUCH sooner, please allow the post office up to 3 weeks for Domestic deliver and up to 6 weeks for international delivery. Please contact me by convo if you wish to discuss pricing and availability for expedited shipping options prior to placing your order. Delays in USPS delivery due to weather conditions, natural disasters, national holidays and other uncontrollable events are beyond my control and will not be refunded. In rare cases, USPS tracking may show that a package has been delivered, although you have not received it. Per the suggestion of USPS, please allow 5 business days after delivery notification for the package to be delivered to your address. During this time it is recommended that you contact your mail carrier and/or local post office regarding the package. In many cases the package is still in the mail truck or at the post office awaiting delivery to you. Thank you for your understanding! The postal service can be a fickle being. International customers are responsible for any and all Customs fees, import duties, taxes, or other charges that may be incurred. 3. Neglecting to pick up package from mail box promptly resulting in heat, rain/water or other damage as a result. 4. Not providing a safe place for delivery. Packages left outside home or apartment doors are not safe. Make sure your local PO knows where to safely leave your packages and pick them up promptly. 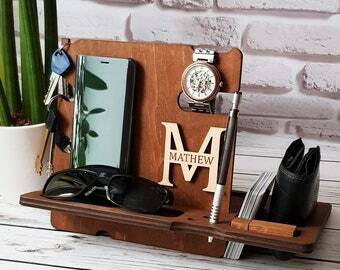 Custom orders are accepted on a limited basis through my Etsy shop dependent upon my availability. Please convo me to discuss your request. Custom requests are performed on an individual basis: as no two ideas are the same. My pricing structure is based on estimated time, complexity of design, material costs that are tailored to size of a finished piece. I will provide you will a full price quote before beginning. A non-refundable downpayment is required to begin custom orders. Please understand that custom requests, whether changing the color, size or creating a unique piece just for you, will not reflect the same pricing structure as you see on items that are part of my Etsy shop at the current time. Thank you for visiting my Etsy shop. I hope to hear from you soon. I now offer my prints and fine art note cards through a new wholesale pricing structure for retail shops interested in selling my work. Feel free to ask! I am often asked about custom art map locations, "Can you do (fill in the blank)". Each map is as individual as a human fingerprint and the time involved is vastly different from one location to another, thus there is no single standard pricing structure for my art maps. I create each one through a very hands-on illustration process using illustrative software and some art maps simply cannot be rushed. Feel free to contact me to see if price and time frame works within your budget and to check my availability. In many cases my art images can be printed larger than what is shown in my Etsy Shop posts. If you are interested in larger print dimensions, feel free to contact me for pricing. In most cases a larger print will need to be shipped rolled in a sturdy shipping tube versus flat like prints 11x14 and smaller. Why don't you accept returns or exchanges? We do not accept returns of our prints because of goods coming back damaged, which means we cannot re-sell. Please contact us if you have any problems with your order. Where can I purchase locally? Do you create all the artwork? Yes! All the designs and artwork are my original concepts and designs.